When would a 900 MHz system be appropriate? It is a good solution when the remote emergency phone is within the line of sight of a building. 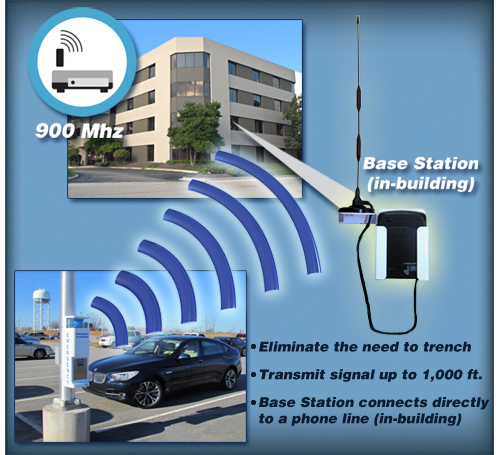 There is no need to trench and it eliminates ongoing costs for communication.